Ms. Bohane’s class had great fun last Friday. They dressed up in their Halloween costumes and went trick or treating to 6th class. Luckily they all got treats from the older girls. The girls in 4th class enjoyed dressing up for Halloween. We had cats, Japanese Geisha, witches, devils, skeletons, dead cheerleaders and other scary costumes. 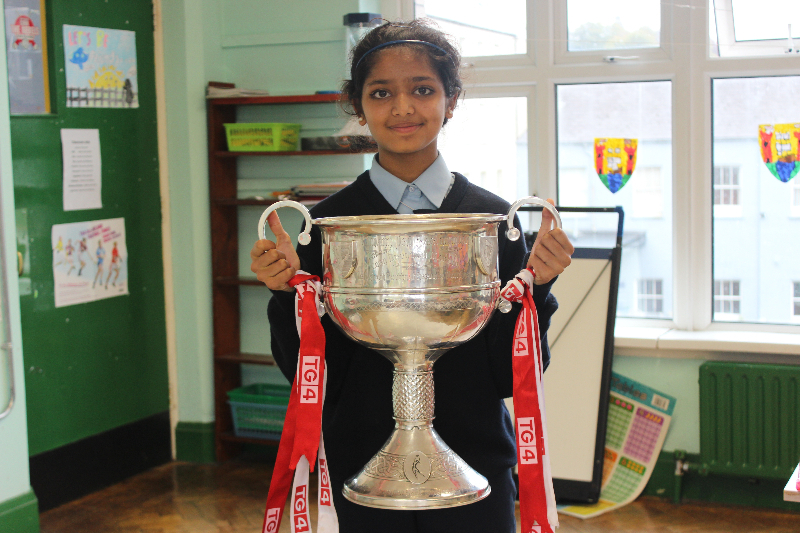 The girls from 5th and 6th took part in a football blitz a few weeks ago. There were 5 teams playing and the girls won 2 matches and lost 2 matches. The girls played their hearts out and really enjoyed the day. 4th class have been reading the book “The Boy in the Dress” by David Walliams. All the class enjoyed the story. After finishing the story the girls wrote about their favourite part of the book. They also became fashion designers and designed new dresses for Denis, the main character in the book. The children in Early Start had a great time on Friday dressing up for Halloween. 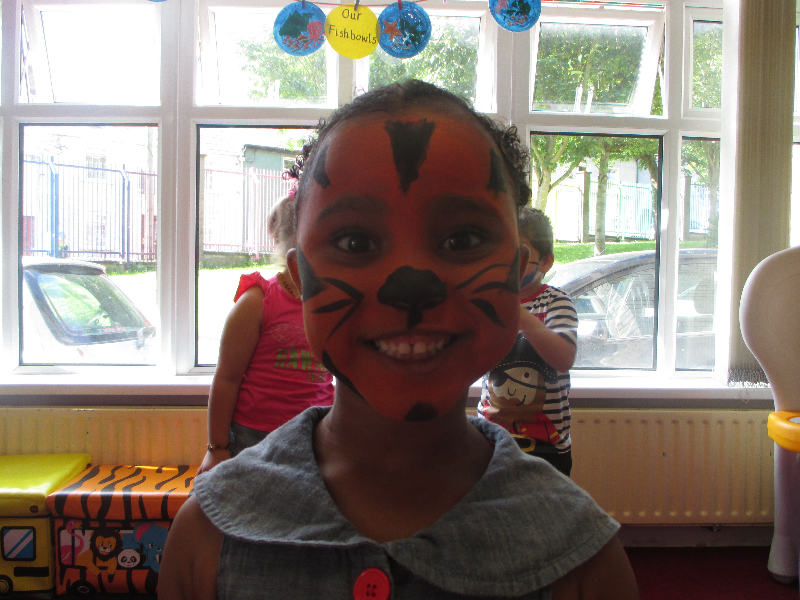 The children in Senior Infants had a fun-filled day today. They dressed up for Halloween and everyone looked amazing. They went trick or treating around school and had a party in the afternoon. Check out the photos from today. The children in Senior Infants had their class photo taken last week.They also enjoyed a lovely Autumn nature walk in the convent garden. They have grown up so much since Junior Infants. Every week parents from Junior Infants, Senior Infants and First Class come in to read to their child and their child’s friends. It is a thoroughly enjoyable experience for all involved.